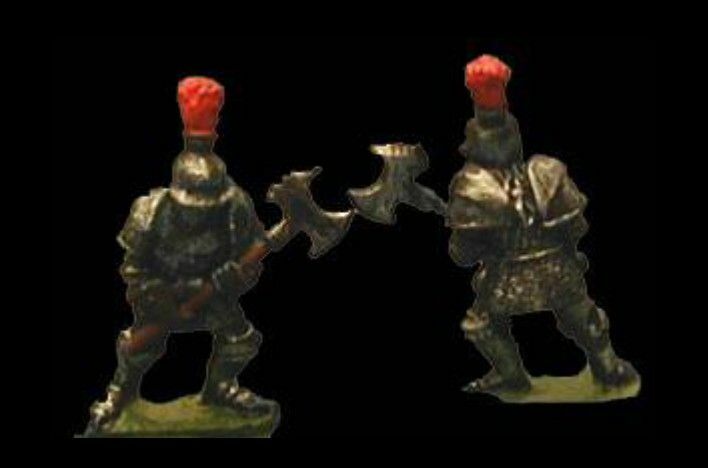 HOT39 Dwarf knights with double-headed poleaxe. Eight identical models. The armoured and shieldless figure wears full plate armour including helmet with closed visor and plume. He holds his poleaxe in both hands and is approximately 18mm tall. 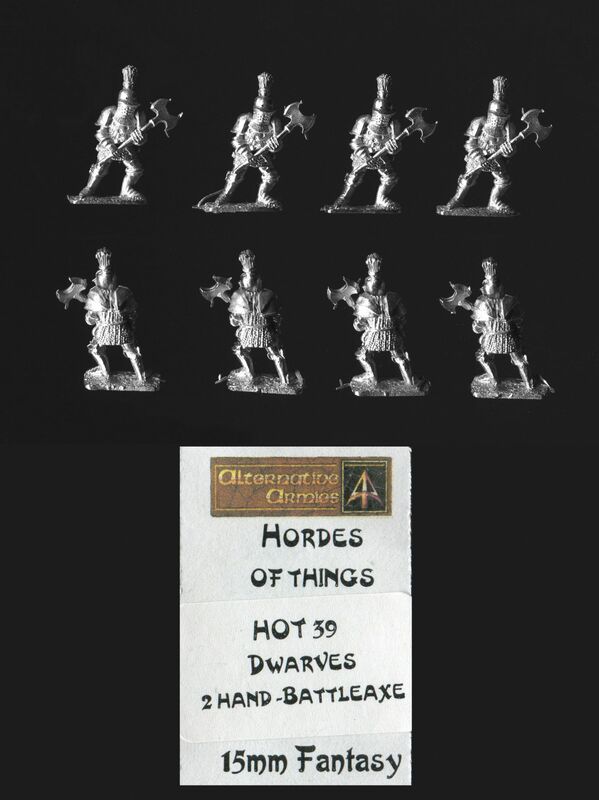 These figures are listed as dwarves but could as well be used as Wars of the Roses dismounted knights. 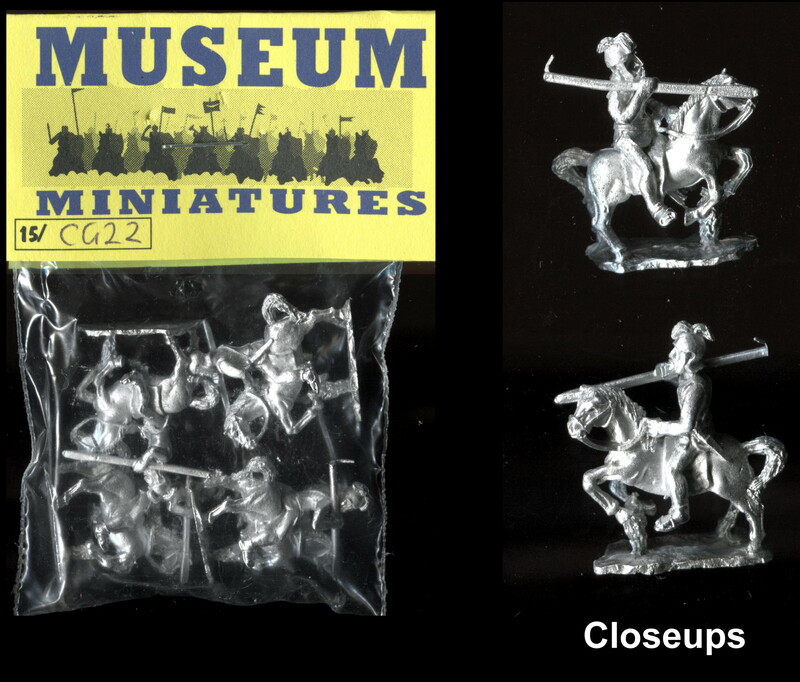 The picture of the painted models is taken from the Alternative Armies website.